The Spanish financial entity BBVA has entered the Dow Jones sustainability index, which Telefonica has left. BBVA shares have accumulated losses of -23.38% so far in this exercise, weighed down by the situation in Turkey, a region which contributed 11% of the Group’s net profits in the first half of 2018. Moreover, the bank has re-bought shares at minimums of two years, with the intention of selling them the market is calmer and getting a profit, as well as supporting the share Price. In the analysis to be incorporated in the Dow Jones, carried out by the sustainability agency RobecoSAM, BBVA achieved a total of 81 points, and has been included in both DJSI World and DJSI Europe. For its part, Garanti Bank, BBVA´s Turkish subsidiary, remains in the DJSI Emerging markets for the fourth consecutive year. 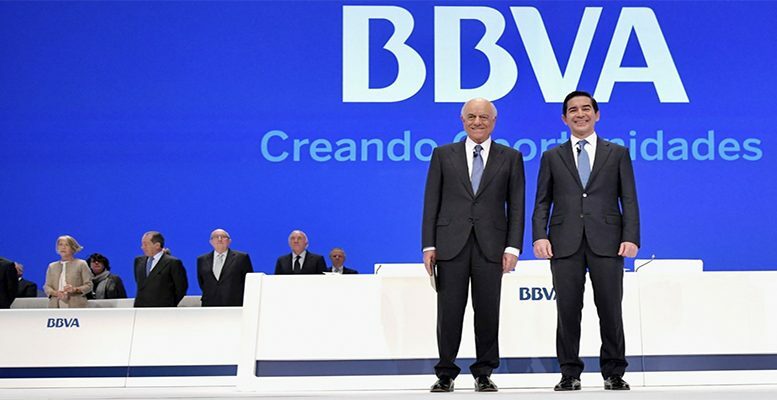 Among the most valued elements in the analysis of BBVA were included its fiscal strategy, its information and cyber security policies, the management of environmental risks and opportunities and financial inclusion. Moreover, its “Compromiso 2025” announced this year has been key. BBVA owns 6.9% of the capital and is the main shareholder of Telefonica, the company it will replace in the DJSI. It happens that at the same time as the rotation in the index, the bank is seeking explanations from the telecommunications operator to find out what initiatives its management team is going to adopt to lift its share Price, which is at its lowest level in 20 years. Telefónica has accumulated losses of 13% since August for a combination of different factors. On the one hand, the negative effects provoked by the depreciation of the Brazilian Real, which has lost 25% this year, and the burden caused by the collapse of the Argentinian Peso, 50% this year. Telefonica’s debt is also a worrying aspect given the high prices in the spectrum auctions, which the bank estimates at 1 billion euros for 2018 and 1.5 billion in 2019, and the increased costs of television rights for football, between 200 and 300 million euros per year.